I wrote this two years ago but didn’t publish it then. It is one of those articles that remain in Drafts land forever. Now as we see the topic on Ad blockers taking over the conversations I decided to hit the Publish on this article. This is yet another business model simplification case study – Staying focused on your real customers, creating value for them and charging for that value remains the simplest of business models. This one is about pricing magazines. Smart, popular and influential people have written at length about why information wants to be free. We have been told to get used to the world when content is commoditized and we better find another way to monetize it – anything but charging for it. It appeared the pundits were true, until the recent technology shift – iPad. The Journal reports a reversal in pricing for iPad magazines as some publishers are bold enough to not only charge for their electronic content but also are charging more than what they currently do for print media. Cosmopolitan readers can get their first year’s subscription to the print magazine for $10. But if they want the digital edition on their iPads, they will have to fork over $19.99. And customers are willing to pay for content – ready to pay double of what they pay for print media. Gone are any objections based on cost to produce eContent vs. print. For sure the advent of iPad triggered this change, it provided a conduit to reframe the value conversation with customers combined with the publisher realization who their real customers are. The change is really brought about by willingness of publishers to revisit their multi-party business model and simplify it. As a refresher, business model is value creation and value capture. Publishers create value for readers and get a share of their value by pricing their print publication. Then they added a third player in this value chain – advertisers. The value to advertisers is selling reach (and may be attention and conversion). So publishers split their value capture between readers and advertisers. Soon they lost sight of the original end customer – the readers – and started competing only on price to bring in as many readers as possible to capture more revenue from advertisers. magazine publishers have guaranteed advertisers their titles will reach a minimum number of readers and, to fulfill that pledge, they have long cut prices sharply for promotional subscriptions. The extreme form is what we see with all free media supported only by Ads effectively asking customers to pay with attention for the content they consume. But as readers stopped ignoring Ads and even stopped reading because the publishers lost sight of the job readers hired the magazines for, their advertising revenue started dropping as well. The readers are back in focus as primary customers for magazines. Publishers focus not just on content but also convenience in consuming the content that comes with iPad. They are rightfully charging for the value they create for their readers. Hi, this is Prithi, the fifth grader writing about a wide span of topics, but today my post is on a marketing error. There is a common noodle soup snack in India called Maggi, made by Nestle. This new advertisement they made has one main messaging error. Watch it carefully, then speculate. Take a look at the nutritional content of Maggi. Why would mothers want to feed their children something with so much sodium and fat? Furthermore, in the advertisement, it shows a girl wanting to be self-reliant, but she should have learned to cook from scratch and eat healthy . To open a pack of processed food, boil it in water, and call that self-reliance is ludicrous and an insult to women in general. Note: I am happy to announce a new addition to my blog, Prithi Srinivasan, presently a fifth grader. Look for her thoughts and analysis on data, coding, probability and economics. 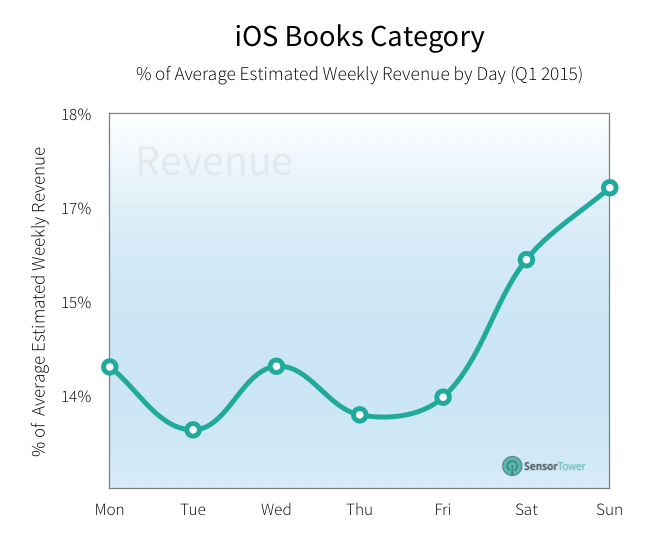 Take this graph on iOS book sales, for example. Look at it carefully. Can you spot any mistakes, because I sure can: three of them, and I’m only a fifth grader. 1. The first mistake is that between 0% and 14%, there should be a break, as all the values other than 0% to 14% increase equally. 2. There was one exception to that last statement. Between 15% and 17% there has to be a 16%— not a break. 3. It should be a bar graph! Line graphs are meant to show differences over time–as one big concept. This graph ought to be a bar graph because it is showing the percentage of book sales per day. It shows separate concepts. If they get paid to create graphs with many errors, then I should get paid for fixing those errors. The claim: Sunday is the best day to promote purchases, period. 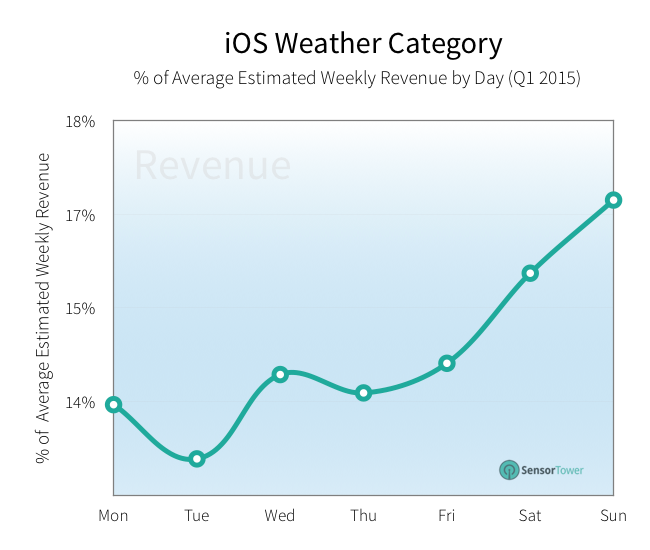 Data collection: our Data Science team did a study of all the primary iOS categories to find out which days of the week typically have more estimated downloads and revenue. I take it what the chart and data is self explanatory. Now can you point out the flagrant flaws in the chart, data and the claim? If you are not able to get past the beauty of the chart and the boldness of the claim show it to a fifth grader who is not afraid of calling out that the emperor has no clothes. This is labeled data science which should not impress you or overwhelm you. There is no science here and by any current definition of “data science” this does not even come close. 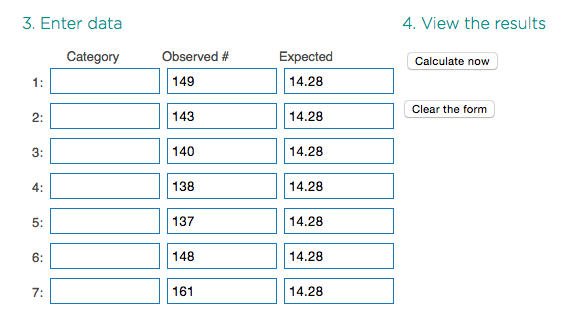 Because you know with data science there is hypotheses, statistics, data cleansing and data validation involved. Here are the easiest ones you should be able to call out. Look at this chart and all other similar charts for several categories in that blog post. Look at that nice smooth lines. Then look at the data points again. These are averages per weekday and hence discrete by definition and must only be shown with using bar/column charts. We must conclude that the 17% is really 16%, even there there is error in data. When you do you will find the differences are not statistically significant and just part of the randomness. You would think the data scientists would know do to this. Finally look at all the other charts and the claims about each category of apps. If you were to do another cross cut of these numbers and run another statistical test you will find there is no statistically significant difference across the App categories. I don’t do data science at least not the way some of these sites do. Even if the differences are statistically significant one has to ask of it is economically significant. Is the 1-2% difference enough to shift your operating procedures? Just because you shift more of promotion dollars to Sunday will you keep getting more benefits? Don’t forget Fallacy of Composition, if just one marketer takes advantage of Sunday that would work but what if all shifted their launches to Sunday? Whether it is filling out March Madness bracket or making investment decisions on a venture it all comes down to scenario analysis taking into account the variabilities. Because it is the variance that kills you. In past years The Journal used to run Blindfold March Madness Bracket to help us make data driven decisions to fill out the bracket and pick the winner. This year they simplified it for us and yet made it extremely sophisticated. They codified the priorities, added a way to introduce a level of randomness and made a sophisticated statistical modeling for scenario analysis. In essence we all can be Nate Silver with this model. Choose a starting point: What is important to you? Customize your priorities: Assign relative priorities – like is it the people? market? traction? How do you make decisions under uncertainty? This was originally published in Gigaom. “We are now seeing the end of the freemium model — signing up users for free and trying to upsell,” said Christian Vanek, CEO of the Boulder-based SurveyGizmo, in a recent phone conversation. “6.5 million unique users is not all that it’s cracked up to be. I don’t want hits. I want revenue. I want a real business,” said Matt Wensing, founder and CEO of Stormpulse, in an interview with Mixergy. “Make a product people want to pay for,” said Marco Arment, founder of Instapaper, in a Planet Money interview. Three easily available examples do not make indisputable evidence against freemium. 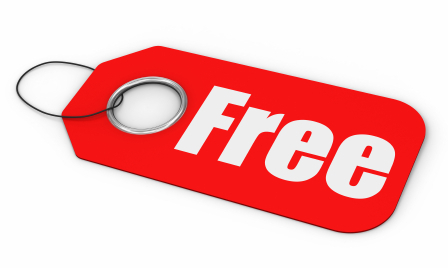 Just like Dropbox, Evernote and RememberTheMilk do not make a case for freemium. But these three quotes reflect a return to the roots of marketing — starting with customer needs, choosing the needs you want to serve and getting your fair share of the value created. In the oft-cited Hershey’s experiment that started the free-mania, behavioral economists from MIT tested customer preference for Hershey’s and Ferrero Rocher chocolates at two different price points. For one group, they offered Hershey’s at one cent and Ferrero Rocher for 26 cents. For another, they offered the chocolates at zero cents and 25 cents respectively. When the Hershey’s chocolate was free and the Ferrero Rocher chocolate was 25 cents, 90 percent of the participants chose Hershey’s. $0 price seems to have done the magic in driving customer adoption. The result became the foundation of the freemium school of thought — free is free marketing. First use the free version to drive adoption and build a large customer base, and then find ways to monetize that base by upselling the paid version and selling extras. Ninety percent is an eye-catching statistic in books about the freemium model, but let’s stop and ask some basic questions about running a profitable venture. What do you know about your target customers? What urgent needs do the free and paid versions meet for these customers? Will the products remain relevant in the customers’ future? If fifty other sellers stand next to you and give away free Hershey’s chocolates, Skittles etc., what will happen to your share of the market? As a startup founder, which customers should you focus on first with your limited resources? Start with the customers, not your product. The product could be new but the customer needs are not. Whether it is a “bits” product with zero marginal cost or “atoms” product with non-zero marginal cost, customer needs come first.In fact, it is not a product until you have identified a set of customers whose needs you meet and who want to pay you for that value. Make your choice. Stormpulse and the online survey platform, SurveyGizmo, both realized that a successful strategy involves making choices. They couldn’t go after every customer who is willing to try out their products. Instead, the leaders at both organizations chose to focus on enterprise customers, because these customers not only value the products but also have the budget to pay for them. Getting 90 percent of customers to take free Hershey’s chocolates with the hope that they will pay more for extras or will upgrade later is not a strategy. In fact, the presence of free products drags down the expected valueof a customer. Which is another reason why SurveyGizmo decided to downplay its free offering. Get your fair share of the value created. As Instapaper’s Arment said, charging for the product is still the simplest of all business models. Product innovation does not mean business model innovation. If your product adds compelling value to customers, charging for it is simply getting your fair share of the value created. You do not have to be ashamed of making a profit.